This beautiful Amethyst from Uruguay is a wonderful accent piece to display. 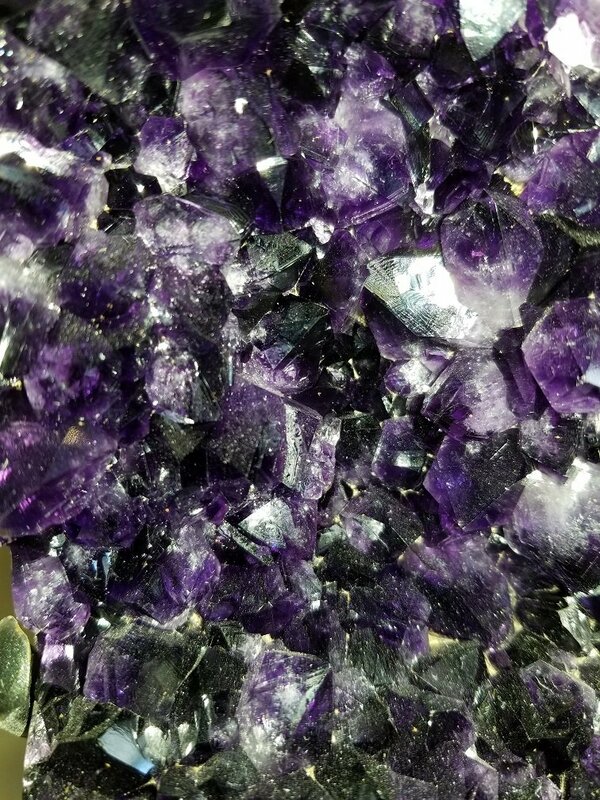 The crystals are large and a deep purple color. The Amethyst with the stand measures approximately 10" X 5" X 4"